One of my goals this year is to get OUT from behind this screen & attend more lectures and events in person. 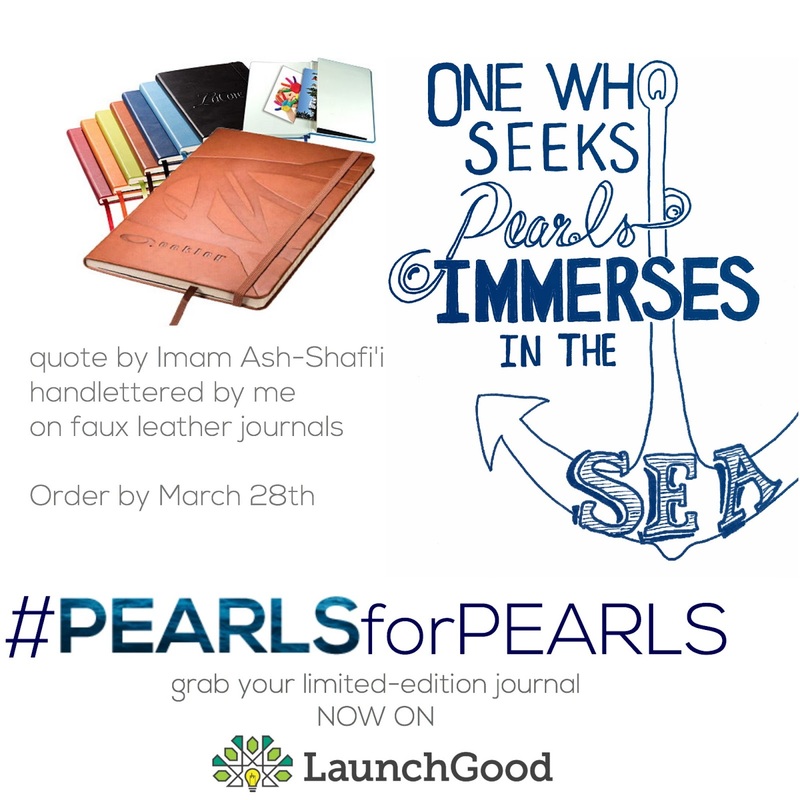 I've made my intentions to go to Pearls of the Qur'an 2015 and I'm selling limited-edition #PearlsforPearls journals & prints in order to help cover the cost. I have to order at least 100 to get them printed so I'm running a crowd funding campaign via Launchgood to collect the orders.